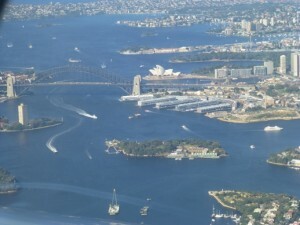 On a glorious Sydney day, the national BHPBSEA team and half the Young Scientist ISEF team departed for Pittsburgh. 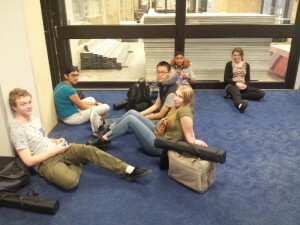 ISEF teams finally – arrive at Pittsburgh! 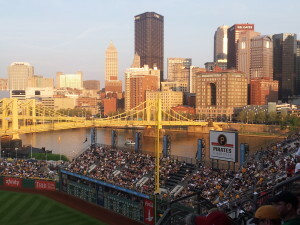 We finally arrived in Pittsburgh 24.5 hours after leaving Sydney. Some of the BHPBSEA team were in the air far longer, such as Melissa from Tasmania whose travelling time was 32 hours. Here at Dallas, Fort Worth we had a connecting plane cancelled due to maintenance problems. 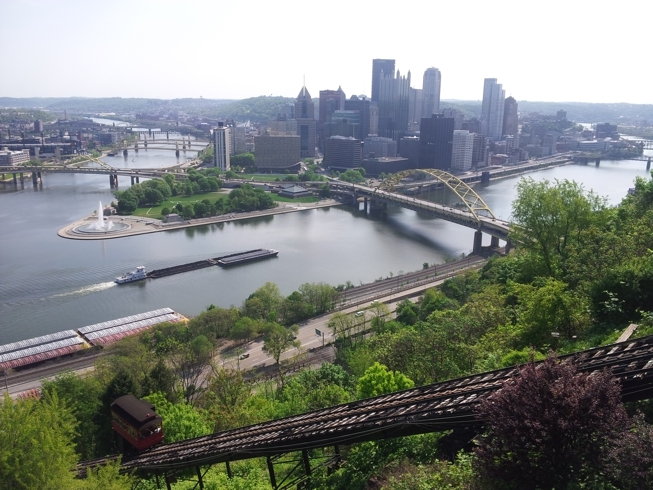 Summer has come early in Pittsburgh with 30ºC expected for the next few days. Beautiful city bordered by 3 rivers. Getting our small slice of Americana! 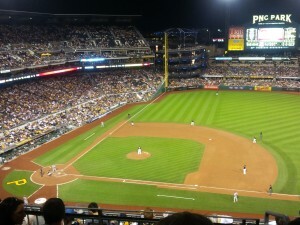 The local major league team Pittsburgh Pirates went down to the all-conquering St Louis Cardinals 8-5. 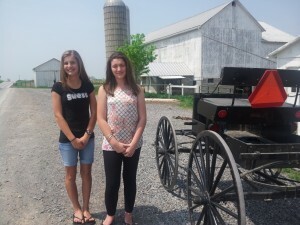 Josie and Alexandra, toured the Amish communities of Volant and New Wilmington with their families. They saw hand-made quilts, wooden covered bridges and they were blown away by the beauty and simplicity of their lifestyle. 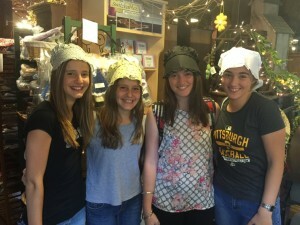 Trying on some Amish bonnets are Josie with her sister Sarah & Alexandra with her sister Georgina. 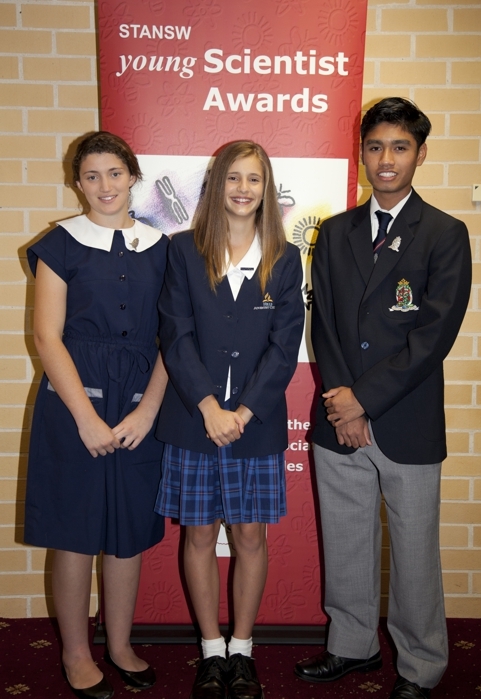 Sarah and Georgina are part of the Australian team as Student Observers. This enables them to join in the pin exchange, occurring tomorrow (Sunday night). Pittsburgh – no more the dirty steel city!